There hasn’t been much economic reports due to the Good Friday holiday. 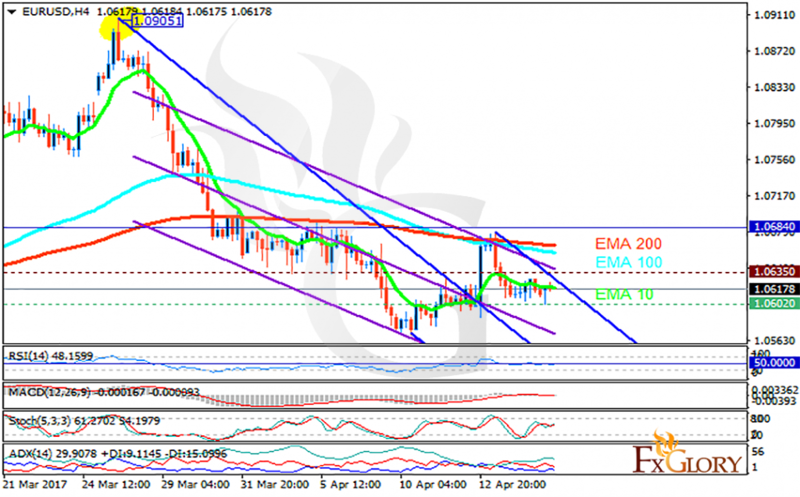 The support rests at 1.06020 with resistance at 1.06350 which both lines are below the monthly pivot point at 1.06840. The EMA of 10 is moving with bearish bias along the descendant channel and it is below the EMA of 100 and the EMA of 200. The RSI is moving horizontally on the 50 level, the Stochastic is moving in middle ranges and the MACD indicator is in neutral territory. The ADX is showing buy signals. The market is stable at the moment but it will get more volatile until the end of today; however, it seems that bears will still be in charge to send the price to 0.0550 area.